Victory Cruise Lines has finalized berth agreements with the Cuban government for their series of six winter 2018 in-depth cruises from Miami to Cuba. The round trip cruises from Miami will be 13-, 14- and 15-night itineraries that circumnavigate the island calling at five ports. They will make multiday stops and overnights at Havana, Santiago de Cuba and Trinidad. The complete story appeared in the July 28 edition of Cruise News Daily. It's still there. 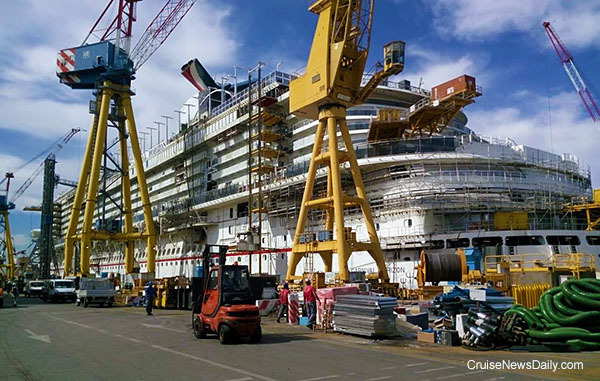 Construction continues on the 133,500-ton Carnival Horizon at Fincantieri's Marghera yard. To remind us, Carnival sent along some photos taken this month at the yard. The ship is set to enter service on April 2 from Barcelona. The French government is apparently uneasy about Fincantieri moving jobs out of Saint-Nazaire if they would have control of the STX France yard, because the Macron government today moved to nationalize the yard. Details appeared in the July 27 edition of Cruise News Daily. Details began to emerge today about the violent death of a 39-year-old woman aboard Emerald Princess as it sailed between ports in Alaska Tuesday night. Princess and law enforcement officials aren't revealing much, just what is in an FBI affidavit filed in US District Court in Alaska that was used in today's first court appearance of the woman's husband who was arrested and charged with her murder. The couple was traveling with their three children, and it seems the death was a result of an argument that escalated out of control. The complete story appeared in the July 27 edition of Cruise News Daily. A 39-year-old woman died as a result of a domestic dispute aboard Emerald Princess about 9pm Tuesday evening, as the ship was sailing from Ketchikan to Tracy Arm. Princess reported the incident to the FBI and other relevant authorities. During the night, the ship changed course, dropping the Tracy Arm cruising, and headed right to Juneau where more than a dozen FBI agents boarded the ship to process the crime scene and interview potential witnesses. 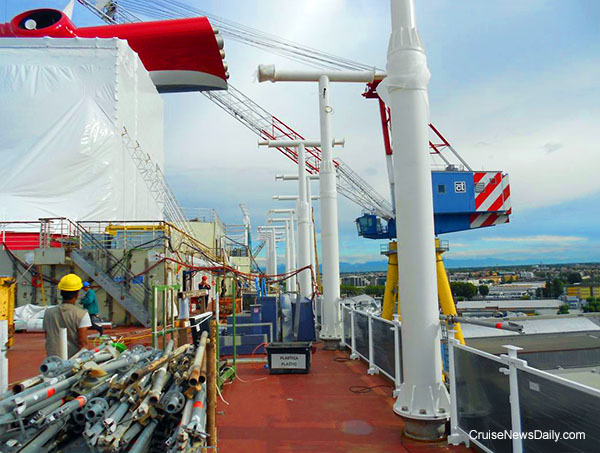 The complete story appeared in the July 26 edition of Cruise News Daily. The terminally-ill cruise passenger stuck in Alaska is home. Details appeared in the July 26 edition of Cruise News Daily. It was just announced this morning (actually tomorrow morning Sydney time, but by the time you read this, it will be this morning) that P&O Cruises (Australia) is going to have a ship going to Melbourne for the 2018 State of Origin! You know - the NRL. Well, Google it. It's huge in Australia. The four-night cruise from Sydney includes sailing with league legends, tickets and transfers to the game and footy-themed entertainment onboard. Even though the cruise doesn't sail until next June, it's expected to sell out quickly. 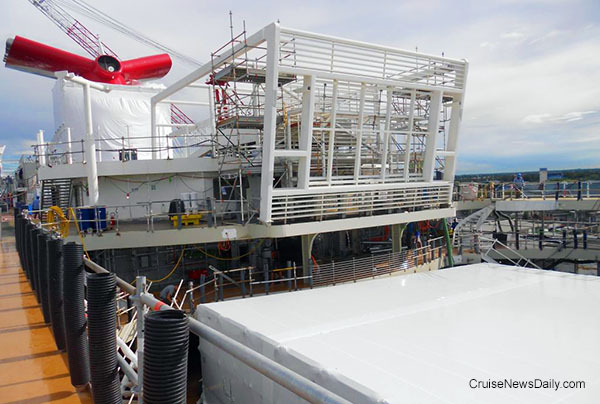 The complete story appeared in the July 25 edition of Cruise News Daily. Italy has a new law, enacted last fall, that removes obstacles for organizations with prepared and leftover food to donate it to organizations who need food, and Costa is taking advantage of it to feed Italian children in need. It began this week, and it is only a pilot project, but the potential is enormous, and Costa wants to expand it. The complete story appeared in the July 24 edition of Cruise News Daily. Carnival, in conjunction with the Cat in the Hat, staging yet another Seuss-A-Palooza, this time in Mobile.